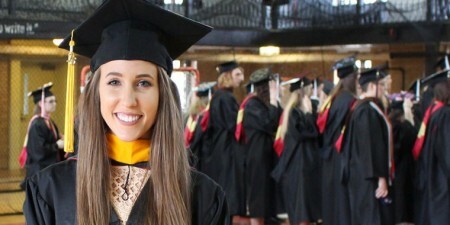 The summer before her senior year at Seton Hill, chemistry major Alyssa Thornton interned in the polymer analytics division of Bayer MaterialScience in Pittsburgh. “I gained so much valuable knowledge and experience on LC-MS and the professional laboratory environment." 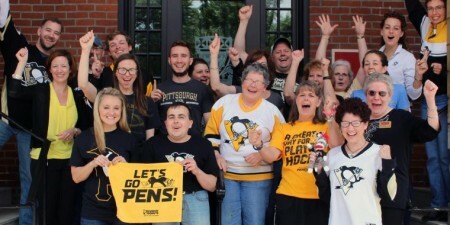 “I gained so much valuable knowledge and experience on LC-MS [liquid chromatography–mass spectrometry] and the professional laboratory environment from the position sponsored by the Society for Analytical Chemists of Pittsburgh,” Alyssa says. The internship led to a full-time contract position during Seton Hill’s winter break, with one small change. In September 2015, Bayer MaterialScience had become Covestro, an independent subsidiary of Bayer. Turns out Covestro liked Alyssa as much as Bayer had – enough, in fact, to offer her a full-time job. Alyssa graduated in May 2016 and has begun her career with Covestro.